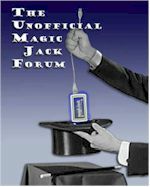 I'm on the Magic Jack website in the Accounts tab. In the tab is "show contacts" Tab. I click on it and it says "none." Does anyone know what this is? The short answer is yes, I know what that is. If you use your MJ plugged into a computer instead of connected directly to the router, you can add names and phone number to a contact list. It is then possible to call people by clicking on their entry in the list. MJ does implicit sort on <FirstName> but sort does not always work.This is known bug but not high on MJ resolution list. As workaround, I found if one uses ONLY <FirstName> field AND leave the <LastName> field blank, then the Contacts are sorted.